Lot of 24 tickets to the 1983 ALCS and World Series. 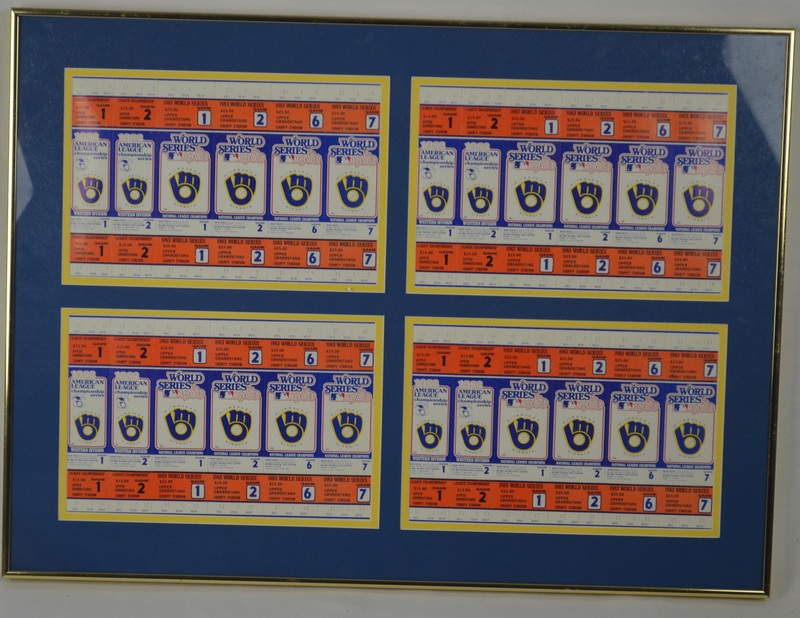 The 4 blocks of 6 tickets have been framed. 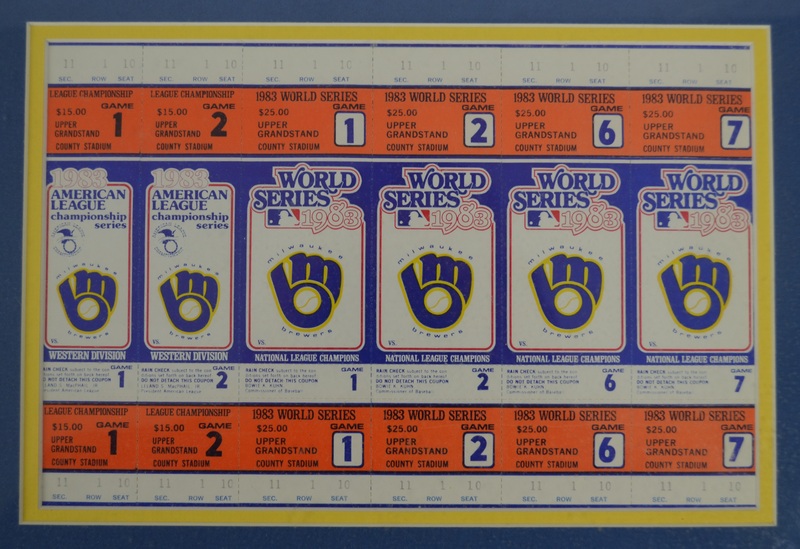 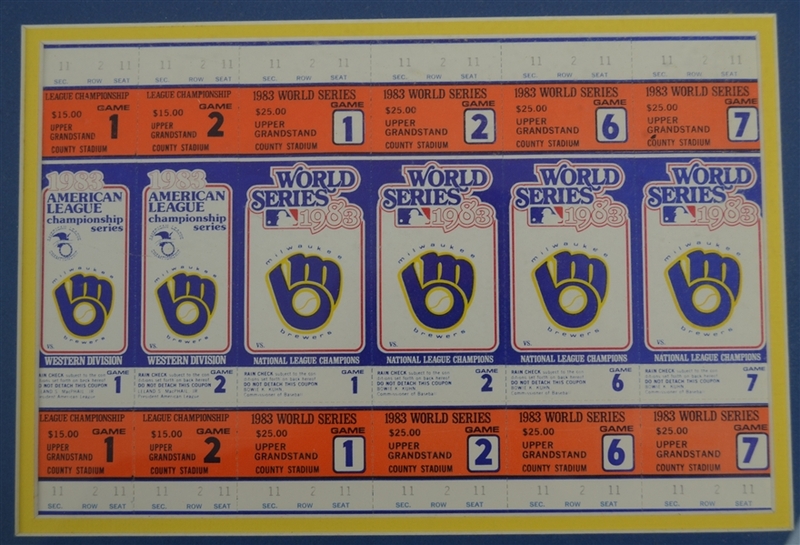 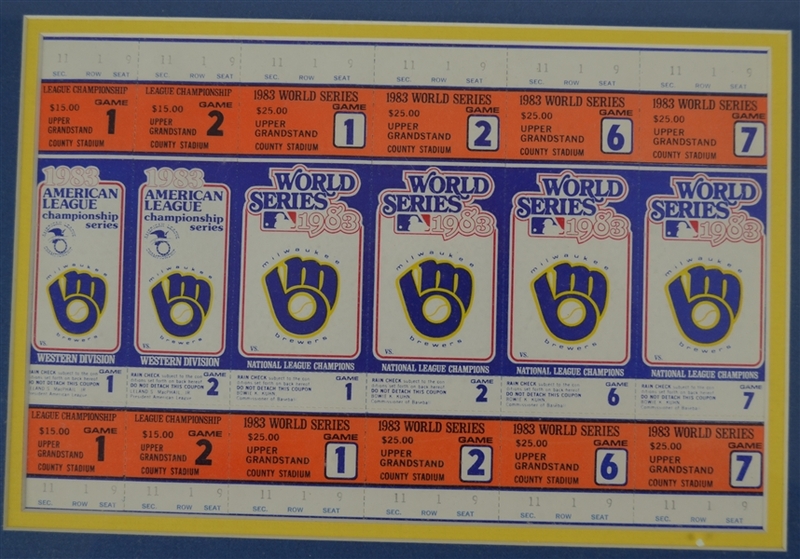 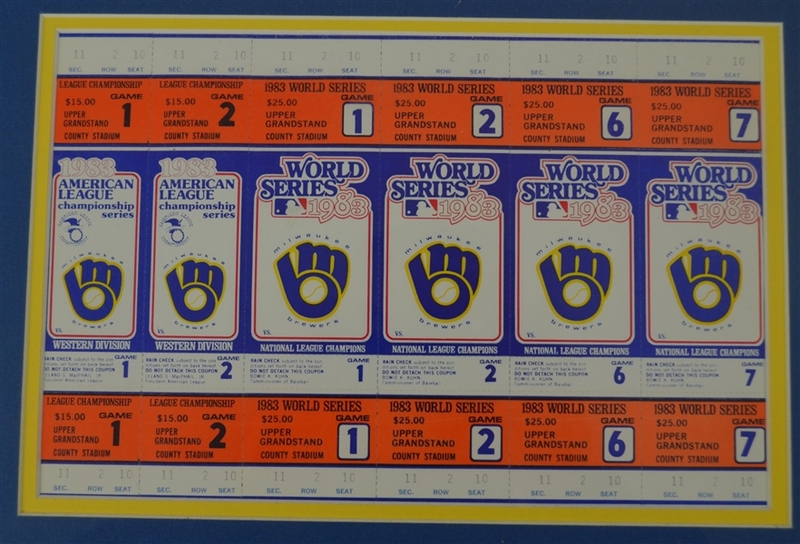 The Milwaukee Brewers never made it to the playoffs in 1983 making this a unique collectors item.